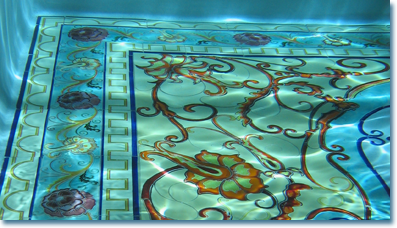 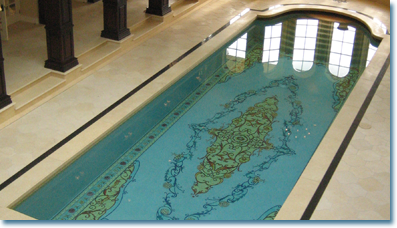 The Magic Carpet Pool is One-of-a-Kind! 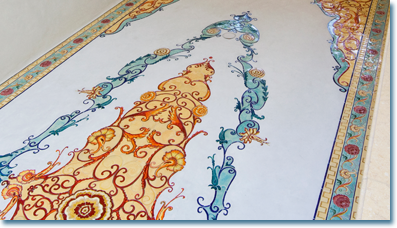 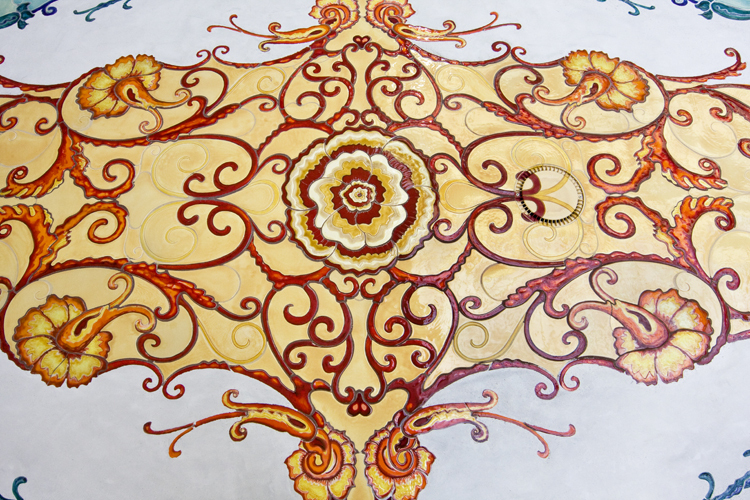 Very elaborate and high in details, it is a contemporary take on a traditional style design. 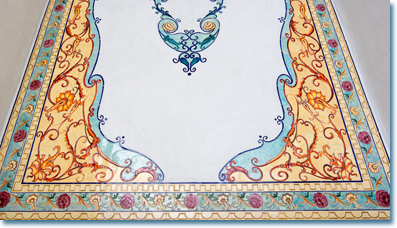 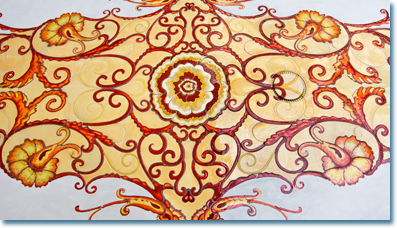 A Paisley-Baroque style pattern surrounded by bold borders. 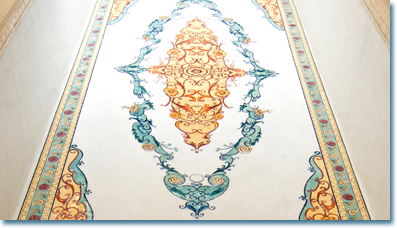 Very intricate in details and rich in colors it exudes a classical feel. 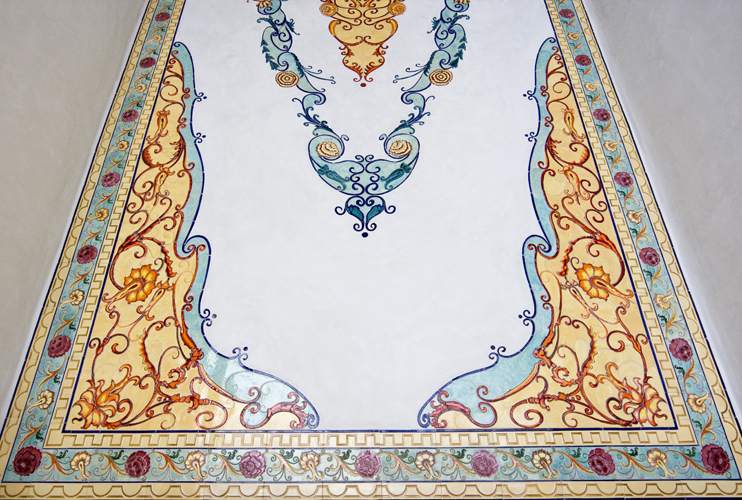 All the pieces were made like a giant puzzle in order not to disturb the design with the grid of grout lines. 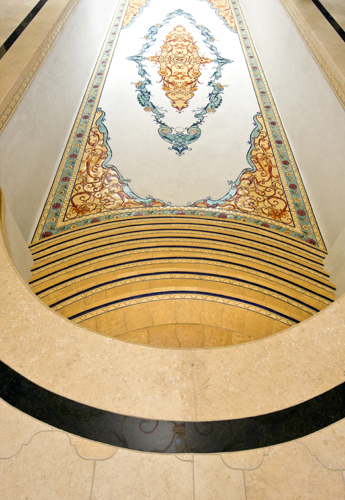 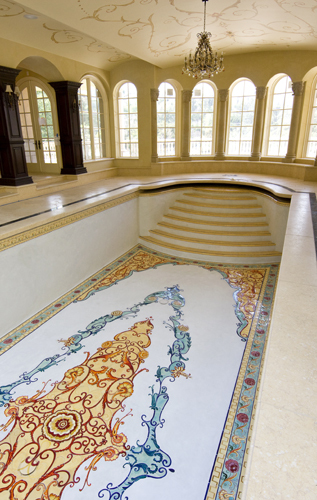 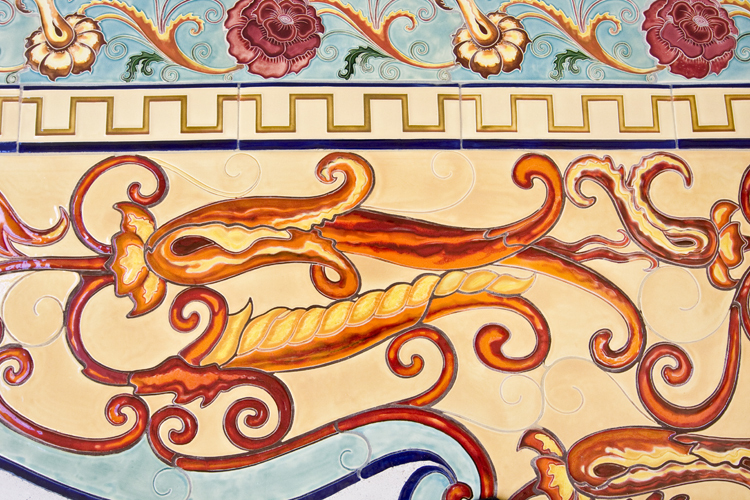 This is probably our most elaborate project and takes us back to the traditional style of fine hand crafted tile design and forward to a level of art tile not often seen. 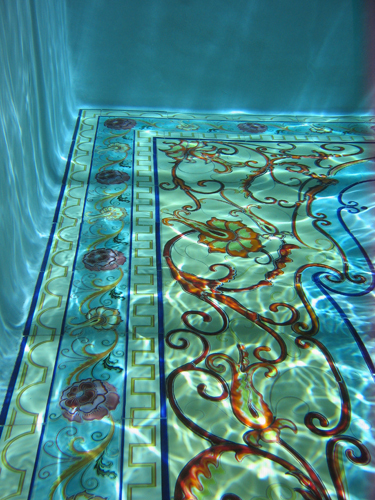 Think of hand-made antiquities here and now. 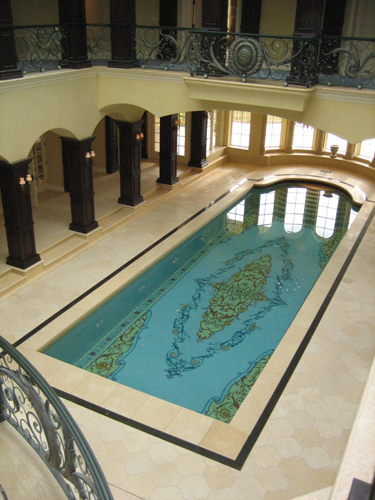 A world class project unlike any other! 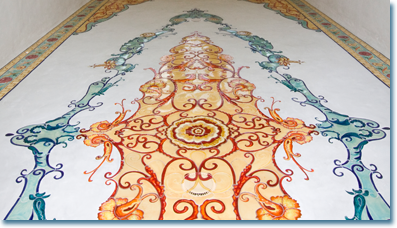 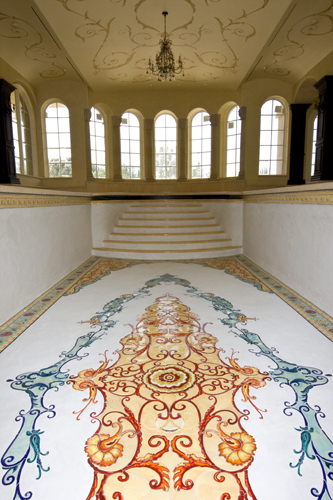 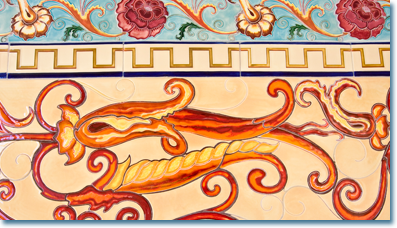 See Topanga Art Tile featured in Watershapes Magazine!